When it comes to purchasing a new roof, whether it be for your home, there are many factors that come into play. 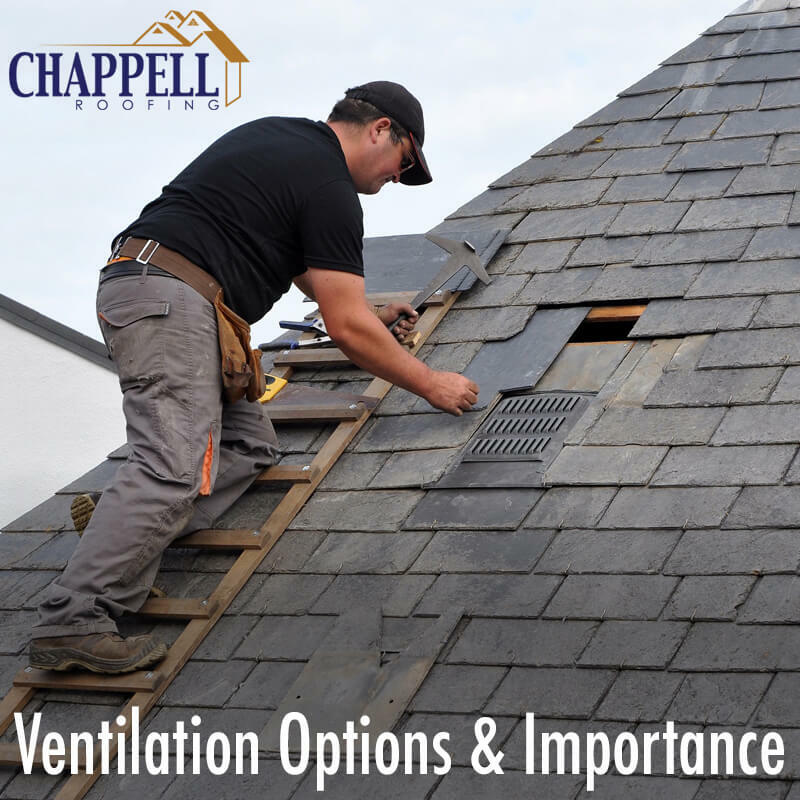 Our goal at Chappell Roofing is to make this process painless and pleasant. One of the main concerns when purchasing a new roof is which shingles are the best fit for your needs. We understand that different building structures have different needs, which is why we offer many different options. You might be wondering what you should be looking for when selecting the perfect shingles. There are a few different things to consider when shopping for shingles. When picking out shingles, it is important to make sure the materials used are of good quality. Our products are made from top-notch materials, so you will not need to worry about leaks or early deterioration. We offer nothing but the best! In order to have the roof you will love, you want to choose a color of shingle that will compliment your brick or siding, giving your home excellent curb appeal. If you have brick, select a color in the brick and match your shingle to it. This adds beautiful accent and style to your home. Experience and know-how is critical when purchasing a new roof, and our impeccable reputation will put you at ease. With much experience, we are a member of the Better Business Bureau and are dedicated to you, our customer. Customer satisfaction drives us! The type and style of shingle you need is an important factor to consider when designing a roof. We offer 30-year, ultra thick, impact resistant, and designer shingles, so not only can you rest assured you will be receiving quality shingles, they will also be eye-catching and tailored for your home. You will be the envy of the neighborhood! If you would like more information on roofing and shingle selection, please contact us. We at Chappell Roofing are dedicated to meeting your roofing needs. You will love your Chappell roof!